Another photo showing one of the places we walk. 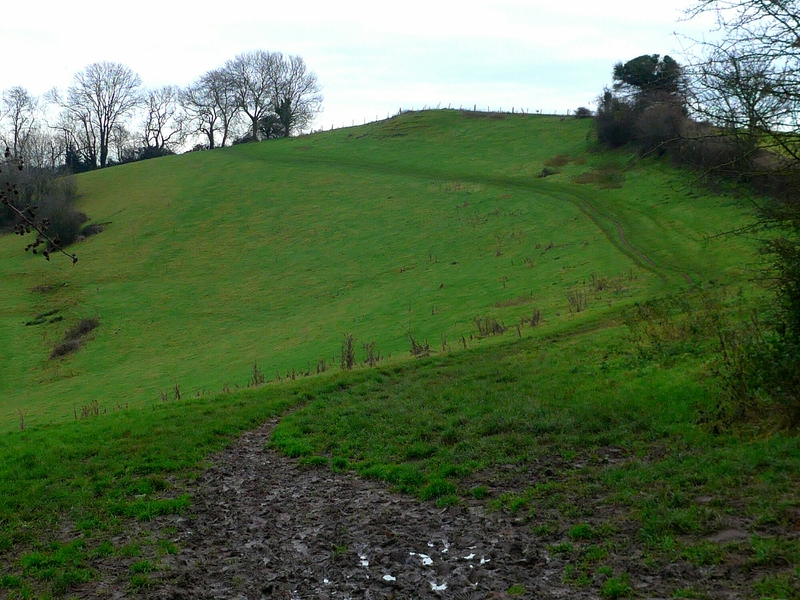 This shows the path across the fields at the top of the hill above Weston village. From just beyond the ridge are some of the most amazing views across the whole of the city of Bath. As you can see at this time of year it does get very muddy. We are always attentive crossing this path as this is on a working farm and there are often either cattle or sheep in the field, sometimes both. The farmer has notices up asking people to keep their dogs on leads crossing his field and we are happy to respect this; it’s not much to ask in exchange for continued access, I just wish everyone else did.